The Wealth Tax Act is an important legislation related to tax, which came into force on and from 1.4.1957. Wealth tax is levied on the assets held by an individual and is to be paid every year on the same property on its market value, no matter if such property does not fetch any income. It is a direct tax and is not part of the Income Tax Return. Wealth tax has to be filed separately. An assessee, who is liable to pay wealth tax under the Wealth Tax Act, includes individuals, firms, HUFs, etc. Charge-ability to wealth tax depends upon the residential status and the citizenship of the assessee. Section 14 of the Wealth Tax Act provides furnishing of wealth tax return of an assessee for net wealth as on the date of valuation. Net wealth is the total value computed under the provisions of the Wealth Tax Act, 1957, taking into account all assets belonging to an assessee on the date of valuation after deducting the total value of all debts owed by him on the valuation date in connection with the assets attracting wealth tax. • Utensils or any other valuable article made of gold, silver, etc. • Cash on hand amounting to Rs. 50,000/- or more. READ What if the Assessing Officer erred assuming jurisdiction under Section 153A of Income Tax Act? The due date for filing wealth tax return is the same as that for filing the income tax return. The Central Board of Direct Taxes has published a notification being No. 32/2014 on 23.06.2014 prescribing the new Wealth Tax Return Form BB with effect from the Assessment Year 2014 – 15 instead of the old form BA. It has also been provided that the new form can be filed online even without digital signature. In other words, digital signature is not always necessary for filing a wealth tax return. For whom is e-filing mandatory? • For some specified category of assessee i.e. 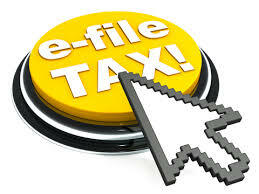 individual or HUF, who is not liable to tax audit, e – filing is optional. • For other class of assessees i.e. individuals, companies or HUFs who are liable to tax audit, for furnishing return of wealth tax in form BB, e – filing with digital signature is mandatory for the assessment year 2014‐15 and for the subsequent assessment years. • The Income Tax Department has now made it compulsory for companies, individuals and HUFs with income over Rs. 1 crore a year to file their wealth tax returns electronically with digital signature. The Income Tax Department has introduced e – filing to make the tax payer information ready for quick analysis and to make the tax scrutiny procedure faster. The new wealth tax filing rules give the freedom of self assessment to the tax payers. Electronic filing makes the return of net wealth annexure – less. Sections 139C and 139D of the Act contain the provisions for allowing filing of annexure – less return in electronic forms. It is also another advantage as one does not require attaching any supporting document, statement of calculation or proof regarding payment of tax or interest. However, the process of self declaration also has a disadvantage. The law provides that making any false statement in the return shall make one liable to prosecution. Making any incorrect information in the self – assessment return in case the amount of tax evaded is more than Rs. one lakh, would attract rigorous imprisonment of a period ranging from six months to seven years along with fine. This rule is applicable from the financial year 2013-14 onwards.